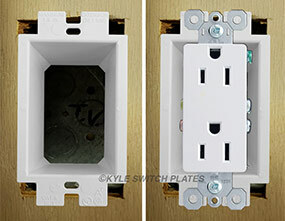 Shop for switch plate handles, extenders & locking covers for wall plates and outlet covers. Find solutions for making a light switch easier to reach for children and the disabled, a power switch harder to flip by accident, covers for hiding gaps in sheetrock around an electrical box, and more. 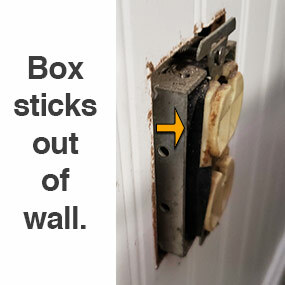 Lift up devices or extend electrical boxes that sit back into the wall. Goof rings are a great way to extend your electrical box. Turn the power running to the device off, then pull the device through the goof ring and install the device back into the box going through the goof ring. If the surface's hole is so large that the goof ring sinks down into the wall instead of resting on the new surface, you can add electrical spacers under the device to lift up as needed. In this example, the goof ring rested properly on the top, but cleared the bottom edge. One spacer was added underneath to get the outlet even. Multiple spacers can be stacked up to reach a desired height. Your device may be too thick or bulky to fit into the electrical box. This can happen when updating older outlets or dimmer switches with modern devices. If you can't screw the devices down snug into the box, you have 2 options. 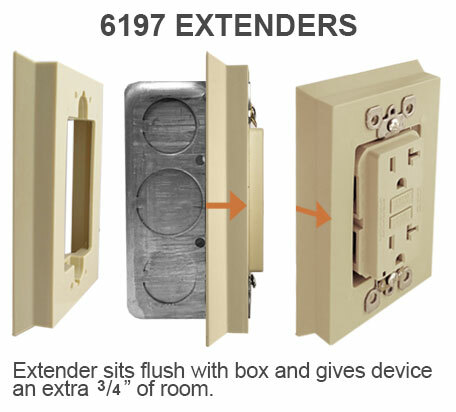 For 1-gang boxes, you can unscrew the device and place a 6197 box extender over the electrical box. 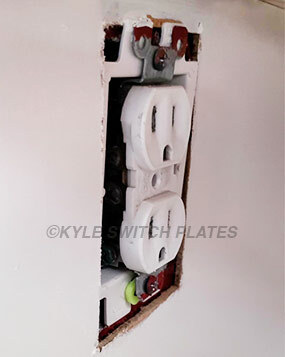 Then, install the device through the extender back into the electrical box and cover using a standard wall plate. 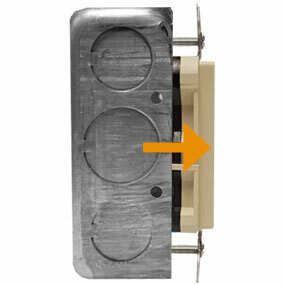 For 1 or more gangs, electrical box spacers can be used between the box and the device to secure the device into place. Longer device screws may be required depending on how far the device is sticking out. 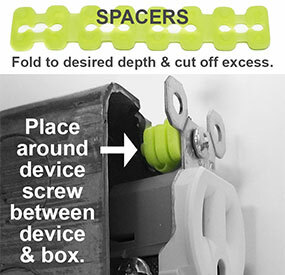 After you've secured the device using spacers to fill the gap, you have a few options for covering the device. 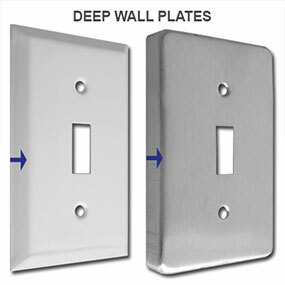 These wall plates have a deeper edge bevel and are made to fill the gap left by a standard size switchplate cover. Only available in limited configurations & finishes. 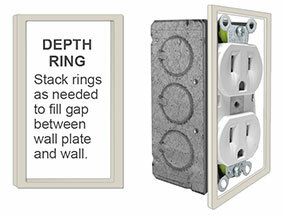 If deep or extra deep wall plates aren't enough to fix your problem, you can add depth rings under the wall plate. Depth rings sit underneath deep or standard wall plates and may be stacked to desired height to fill any remaining gap. 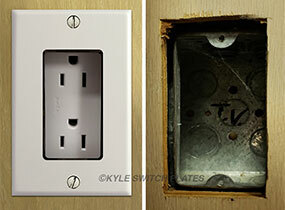 In come cases, the electrical box is sticking out from the wall, leaving a gap between the wall surface and cover plate. Deep plates or depth rings are a couple of popular solutions (shown above) for fixing gaps like this. Depending on how far the box protrudes, you have a variety of solutions. See all solutions for protruding boxes here.